Summer time is travel time for many persons. When returning to Canada, some might be tempted to try their luck and hide items obtained abroad in their luggage. Others might declare the items to the Customs / Canada Border Services Agency officer, but provide false information as to their true value, using fake receipts or phony webpages. The goods may be seized from you on the spot. A penalty of 25 to 80% of their value may be assessed to have the goods returned to you. This may be on top of paying the customs duties. 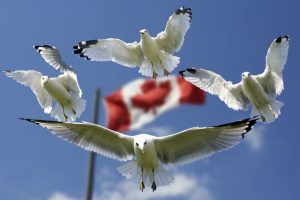 A “red flag” may be recorded in the CBSA computers, sending you to secondary inspection whenever returning to Canada. If you have Nexus or Canpass status, it may be cancelled. In some situations, officers might decide to institute formal charges against you as well. Foreign nationals, meaning anyone who is not a Canadian citizen or permanent resident, who engage in such conduct risk important, additional consequences. The Customs officer could decide to involve Immigration Canada officers, leading to an admissibility hearing at Immigration court. The likely result will be a deportation order, rendering the person inadmissible to Canada for life. If such a person had a study or work permit, or visitor status, it would be cancelled, and he or she would be obliged to leave the country, and to obtain permission in writing before returning in the future. Honesty should be your only policy when re-entering Canada. Taking needless risks to save payment of customs duties established by law is just plain dumb. Our Firm can advise you on such matters before returning to Canada, or if you are now facing difficulties with the authorities. Contact us for help.